Last December, augmented reality company Blippar, which had previously catered mostly to brands and advertisers, rolled out real-time facial recognition, along with a database of 70,000 recognizable faces. That database has since been expanded to 370,000 public figures, and Blippar’s new beta launch today will add your face to the pile as well. The new face profiles, dubbed Halos, can be personalized with interactive AR bubbles that frame the face, allowing users to display their latest tweet, for example, or indicate their mood with animated personifications of emotions that recall the Pixar movie Inside Out. Blippar COO Danny Lopez claims the tech has a 99.67% accuracy rate because it captures the entire face in one go, via what’s called the single-model or single-patch method. Having played around with the app, I found that it had no trouble detecting both Beyoncé and obscure Bollywood stars. But what I found most interesting about the face profiles system was its potential applications beyond the confines of Blippar’s app. As Lopez noted, facial recognition tech is already being used for identity management in mobile banking. 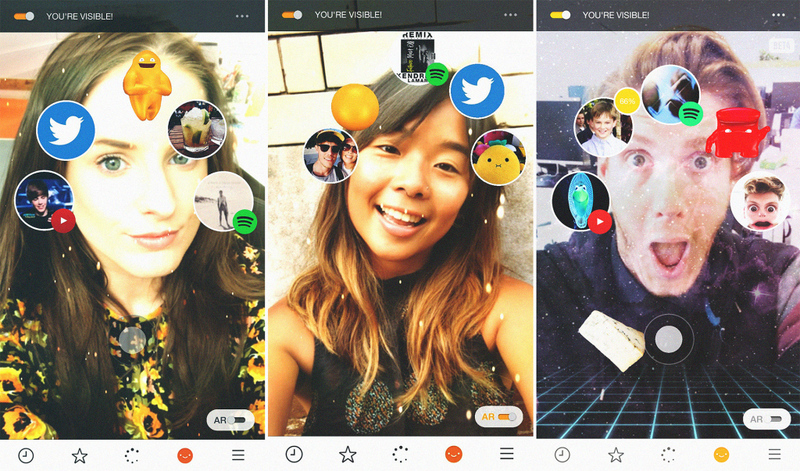 Another application for Blippar could be at conferences and for networking, Lopez says. For instance, you might use Blippar’s technology to learn more about a speaker by scanning a photo, or even an attendee’s face, if their profile included a bubble for their LinkedIn page.